United States reportedly asking European allies to commit to improve Iran nuclear deal in return for Trump renewing sanctions relief. The United States has sketched out a path under which three key European allies would simply commit to try to improve the 2015 Iran nuclear deal over time in return for U.S. President Donald Trump keeping the pact alive by renewing U.S. sanctions relief in May, Reuters reported Sunday, citing a State Department cable it obtained. The cable’s characterization of what the United States wants from the Europeans, which has not been previously reported, sets a lower standard than laid out by Trump in January and so might facilitate a meeting of the minds, five current European and four former U.S. officials said. "We are asking for your commitment that we should work together to seek a supplemental or follow-on agreement that addresses Iran’s development or testing long-range missiles, ensures strong IAEA inspections, and fixes the flaws of the 'sunset clause,'" said the cable, according to Reuters. The crux of the July 2015 agreement between Iran and Britain, China, France, Germany, Russia and the United States was that Iran would restrict its nuclear program in return for relief from sanctions that have crippled its economy. 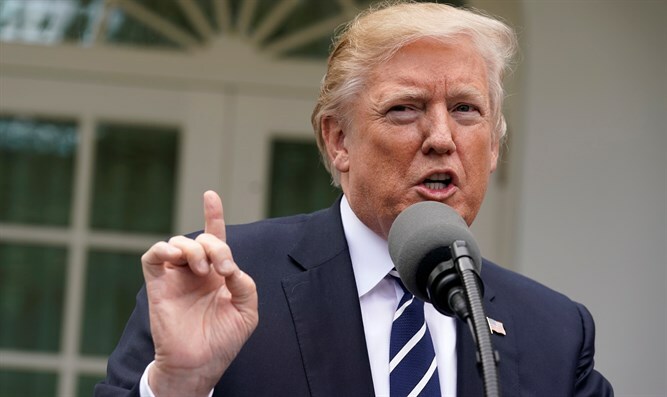 Trump, who has repeatedly criticized the Iran deal negotiated by his predecessor Barack Obama, recently decided to extend a waiver on nuclear sanctions that were imposed on Iran. The State Department declined comment on the cable, saying it would not discuss internal communications. The White House did not respond to requests for comment on what Trump sought in his January 12 statement or how it viewed the approach outlined in the cable. In addition to its nuclear program, the Islamic Republic has several times test-fired ballistic missiles in recent months, raising the ire of the West. Iranian officials also say the country’s missile program is for peaceful purposes and declare it is not up for negotiations. European officials said in interviews with Reuters they did not know if the view laid out in the State Department diplomatic cable - sent to U.S. diplomats in London, Paris, Berlin and Brussels to deliver to their counterparts - will prevail in Washington. Ultimately, they said, all that counts is Trump’s judgment on whether to renew U.S. sanctions waivers that expire on May 12.